The X-Men. These are some seriously awesome comics featuring a diverse range of characters – I was particularly ecstatic to see the inclusion of LGBT characters in the series and in such an un-apologetically romantic light too. But those are the comics, and film adaptations often don’t do the source material justice. While there wasn’t the same amount of diversity in the original trilogy, I’ve got to admit I really enjoyed the films. 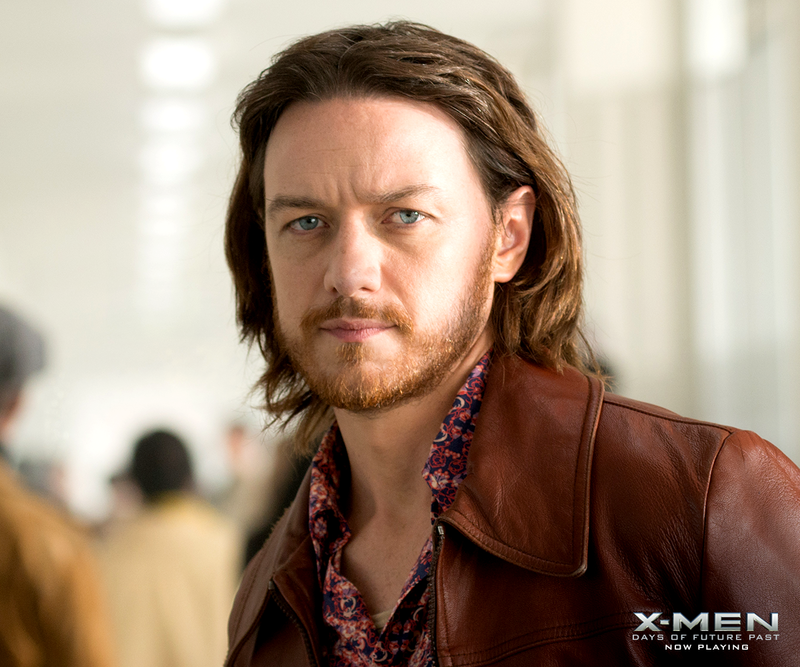 I enjoyed the Wolverine Origins film even more, which had absolutely nothing whatsoever to do with Taylor Kitsch as Gambit – nope, not at all – and I adored the First Class film, which of course had absolutely nothing to do with James McAvoy. (I’m going to pretend that the abomination that is The Wolverine just doesn’t exist and never happened to this otherwise kickass franchise). 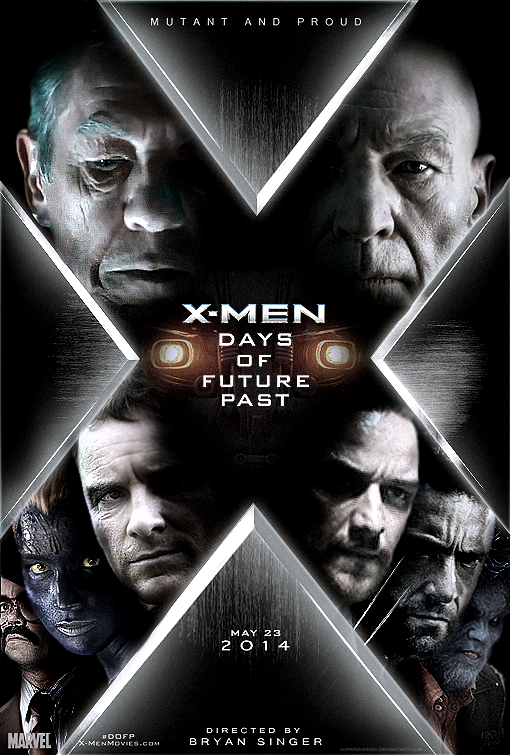 After the trilogy and wicked-cool origin movies, it was with mingling excitement and trepidation that I sat down to watch Days of Future Past. Firstly, I adored First Class. The story was epic, the music was epic, Jennifer Lawrence in body paint was epic, James McAvoy even without the beard was epic – there wasn’t much I didn’t love about the movie. I can’t quite believe I’m going to say it, but I think Days of Future Past might’ve actually been a little bit more epic, although that’s not to say it didn’t have any flaws. Sadly, the film opened with voice-over exposition, which is my pet peeve, and that did not bode well. However, the narration was short lived and the film kicked off with some intense action sequences. While I’m not entirely sure of the timeline and how the future turned so bleak so quickly – it seems to have happened over night since Bobby looks as baby-faced as ever – it was the sort of cyberpunkish dystopia I love. Couple that with new characters like Warpath (Booboo Stewart sure grew up) and the portal girl (coolest power ever although how does this power come from a genetic mutation, pray tell?) who deserves a far more kickass name than Blink, and I was in serious fangirl territory. Then Ellen Page rocked up and I just couldn’t even any more. Things were off to a good start! As I said before, James McAvoy steals the show and delivers a great performance as the mentally unstable, possibly PTSD-suffering Xavier. I wish the film had spent more time on his psychological development but there were giant robots to fight and special effects to exploit so, sadly, we got less character development and more CGI. The best new addition to the cast was undoubtedly Quicksilver played by Evan Peters. I can’t really look at this actor without seeing deranged Tate from American Horror Story, but Peters was wonderful as Quicksilver, lending some levity to a rather dark storyline. That said, it was an absolute sin of the director/producers to only have Quicksilver on screen for a handful of minutes. I want to see more of this character and would love to see his origin film because he’s witty and fun and seems a lot less broken than many of the other tortured hero types proliferating the X-Men universe. The rest of the film unfolded as expected with no twists to the plot whatsoever except that according to the new timeline, the first trilogy could never have happened. This brings me to the biggest flaw in this film: the whole concept of time travel and changing history. Very few sci-fi films get time travel right because it is a notoriously complex concept – ask your local quantum physicist to explain – and any attempt to change the past immediately obliterates the future unless you’re in a separate time stream (as attempted by the short lived series Terra Nova). But ‘because science’ Logan goes back in time and achieves the impossible by giving the middle finger to physics and I’m mildly okay with that because the film was extremely entertaining and, to be fair, comic books in general have a tenuous relationship with the laws of physics. Like all Marvel movies there’s a final scene that comes after the credits. Like all Marvel movies this final scene is almost completely meaningless except to those uber geeks au fait with the franchise. The final scene was creepy cool but I didn’t understand the relevance until I googled it. Now I understand the title of the next X-Men movie – X-Men: Apocalypse. So Days of Future Past presented dubious science and destroyed their own canon, but they did so with kickass awesomeness and I loved every minute of this film. Days of Future Past scores 4.5/5 ink splats for me. It lost half a splat because of that unnecessary voice over at the beginning and for under-utilizing Quicksilver. Cool review, I liked the film a lot too. – It is an authorial statement from Bryan Singer, he included opening monologues in both his previous X-Men films (1 & 2) but the other films don’t feature them, so this is a way of letting the audience know that he, the original creator of the cinematic X-Men, is back (note also the slowly fading X from the Fox logo and the return of the X2 theme). – In X2 the closing narration is a mirror of the Xavier’s opening monologue except it is read by Jean Grey – it tells us that Jean has fully embraced Xavier’s teaching and that is why she sacrificed herself. Here the closing narration is by the young Xavier, this let’s us know that he has been re-inspired to become his former (older) more idealistic self.